This is the correct time to decide what SEO methods you will use and what you must need to avoid for your blog keep increasing your search engine rank. You must need to keep your blog safe when Google update their latest algorithm. After release the latest algorithm update, most people already learned or it’s cleared that. Google is disappointing on buying / selling links in other blogs or websites. Google is now too strict by checking spam in web. Google is also not going to accept any spam in web, if they catch it. Your blog will be on list of spammer. Add more power is being particular on convincing contents. 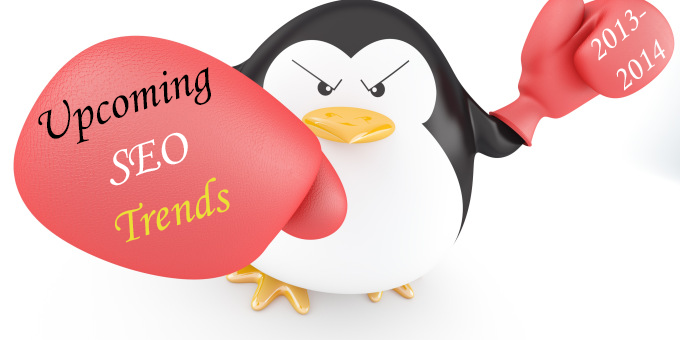 SEO trends in 2013 & 14 will be most affected by when Google penguin and panda release their new update. No one can tell the correct prediction or calculation about SEO trends 2013 & 14. It will quite difficult and targeting to expect what’s new we will see on next update by Google panda and penguin. But it’s sure that, their next update will affect many blogger’s who never follow SEO rules. If you are doing good SEO in your blog then, don’t worry. Your blog will be safe when release new update in whole web. It will also too hard for recovering affected blogs. In this post I will share some great strategy for SEO, if you follow all steps. Your blog will be safe for sure, whatever they release new algorithm update. When Google released their last update, too many blogs affected only for contents. Not only you need unique content, you also need complete and high quality content for your readers. As I already told you in my previous posts, don’t create content for search engine bots. Make your content valuable for your readers that are interesting to read your blog posts. You may able to use "WH questions" (What, When, Who, Whom, How, Where etc.) in your content. You can add a good quality or related video in your blog posts for make your content complete. You will be safe if you make sure and strict on contents of your blog. Google always like to see natural link building in your blogs. I've seen some people are using automatic software’s, black hat methods, buying link building services and many more to increase backlinks of their website. They don’t know how it’s harmful for their blog. After update the algorithm their blog penalize by Google and they lost all things by doing unnatural link building. In next update it’s sure that, Google will be more strict about link building. Social media is always most important step to engage your blog or increase your web ranking in SERP (Search Engine Result Pages). 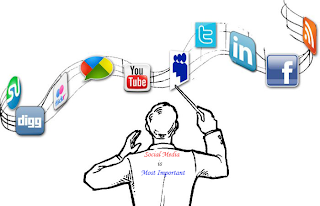 So create a group and fan pages for promoting your blog links in social media optimization. In upcoming SEO trends, if you success to make your blog popular. Your blog will become friendly of Google. Adding social sharing widgets in every blog posts is amazing way to promote your blog by one click. If you readers like your post and think it’s really valuable, they will share your blog posts on their page like Google+, Facebook, twitter, Pinterest, LinkedIn and many more. 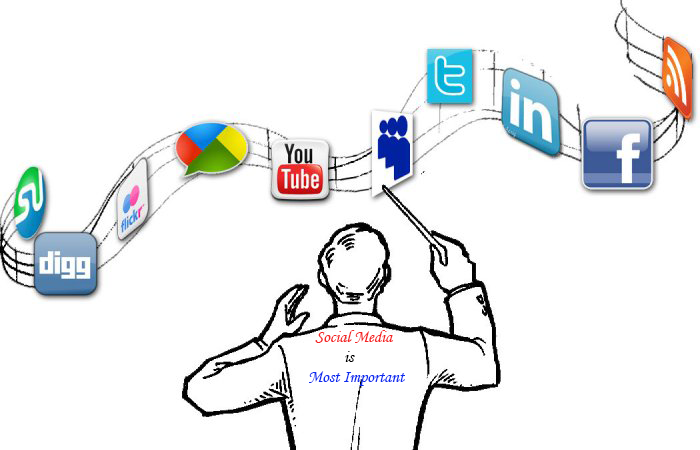 Try to look on social media optimization for promote your blog. If you get 100 backlinks with a single keyword, Google will see your blog as spamming or unnatural links. If you are working on single keyword like “computer tips”, you may use some specialized keyword such as like “best computer tips”, “computer tips for all newbie”, “top computer tips 2013” or many more. This method will obviously work in new Google update in 2013 & 14. If you only create high quality, unique, valuable content for your readers and failed to presentation your content carefully. It will not work in next Google update season. You need to make your content step by step that easy to learn what you trying to say in your post. Don’t use hard word or sentences in your blog posts. Just make sure about presenting contents in your blog posts freshly and smoothly. You will see success in season. Now a day’s most of people are using mobile device for browse the web. When people visit your blog and see your blog not capability with their cell phones. They will never visit your blog again or you will lose 50% visitors from mobile devices. Make sure your blog templates are responsive, and then you will get loves from mobile users too. Responsive templates are also increasing your web ranking in SERP. That’s it. If you success to follow all those strategy of SEO trends. You don’t need to worry about next Google update. We will face it and work hard well. If you have more information about how to safe our blog by Google updates, don’t forget to share your strategy with us. Churn out helpful content and get social. Thanks Reaz super tips! Wow Ryan, I'm really happy to know you like this post. Thanks a lot for share my post. Working in SMO is really helpful, especially if you are updated your Google plus business account, then you are best in your business. This is one of the best tips for Seo trends 2013. But now days updated the Seo techniques and highly grow the Seo traffic of the Websites. Presently multi day's the vast majority of individuals are utilizing a cell phone for peruse the web. At the point when individuals visit your blog and see your blog not capacity with their mobile phones. They will never visit your blog again or you will lose half of guests from cell phones. Ensure your blog layouts are responsive, and afterward, you will get adores from portable clients as well. This is probably the most important and most misunderstood aspect of building a website that converts prospective patients or visitors into actual patients. The reason search engine optimization, is so important is approximately 70% of clicks go to native search results not ad’s. And, approximately 70% of clicks go to the top 5 results for the keyword which is searched. So yes, if you search your chiropractic search engine optimization and you are not in the top 5 results then it is very likely you are getting next to zero clicks to your website. So try with Chiropractic search engine.